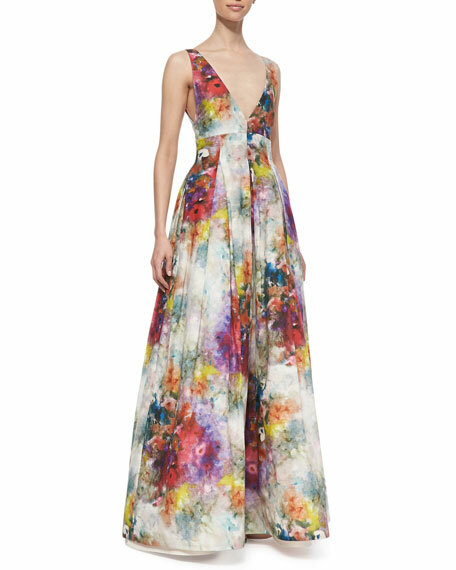 Alice & Olivia "Chantal" floral-print pleated sateen gown. Sweeping full skirt falls to ground. 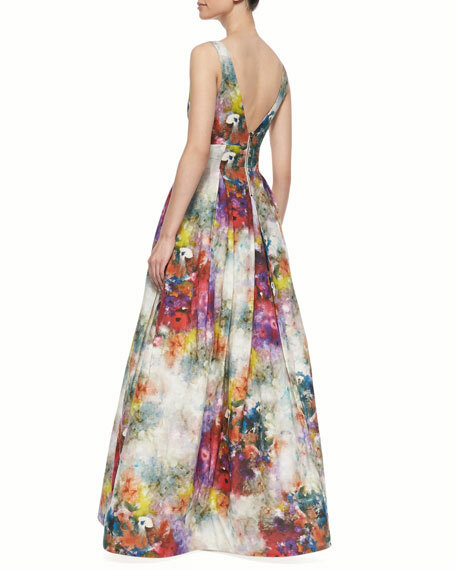 Cotton/linen; silk lining; polyester lining.